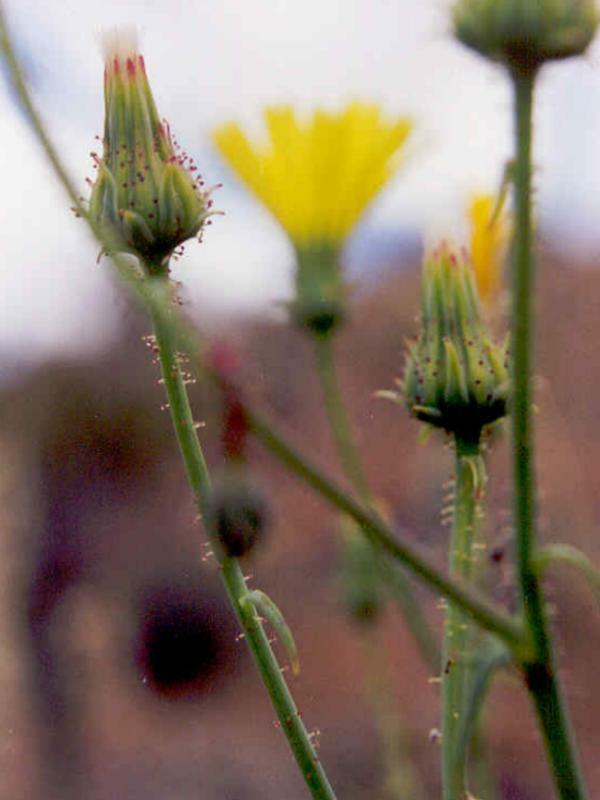 Yellow tackstem is a low erect desert annual with dark-colored tack-shaped glands and milky sap growing up to 6000' in both the Mojave and Colorado Deserts. It is usually about 4"-12" tall and has mostly glabrous basal leaves that are pinnately divided into fairly long linear lobes. What cauline leaves there are are alternate and abruptly reduced. 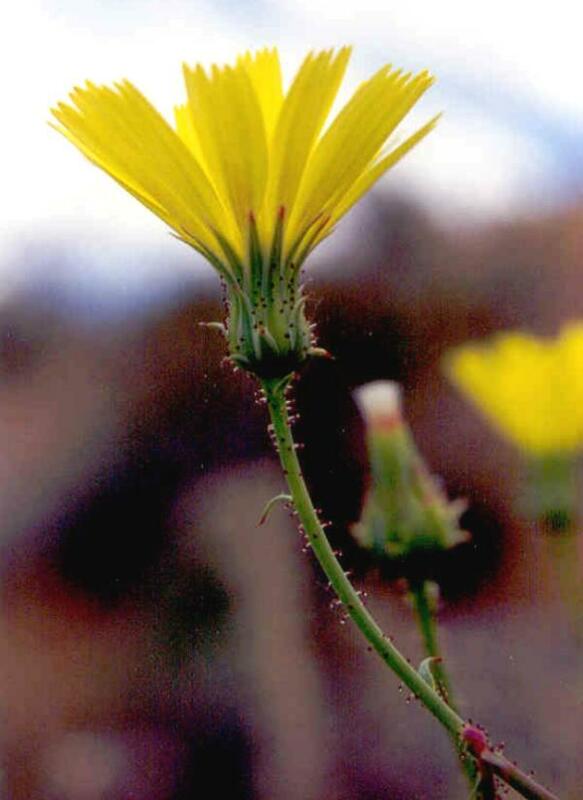 The showy yellow flowering heads have ray flowers only and the phyllaries are linear and scarious-margined with some shorter and wider on the outside. 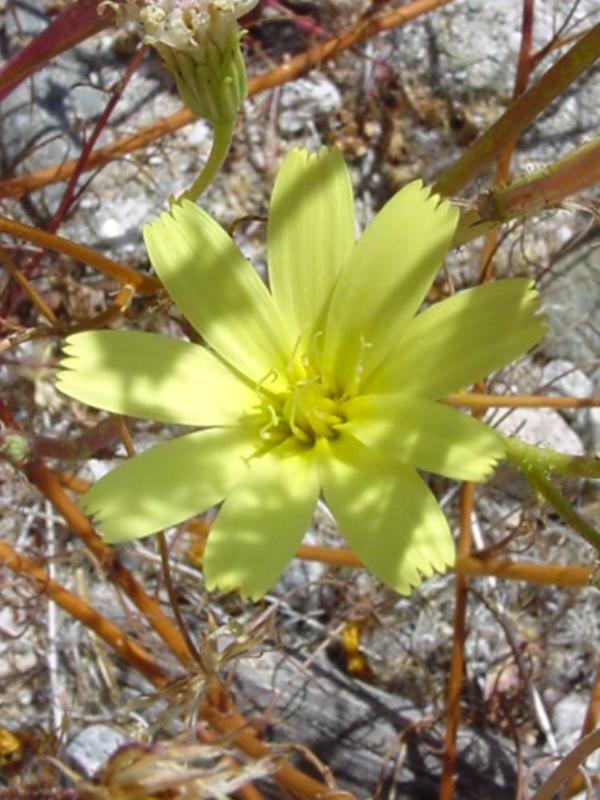 Yellow tackstem may be found in desert flats and slopes in creosote bush scrub and joshua tree woodland, ranging to Utah and Arizona, and blooming from March to May. 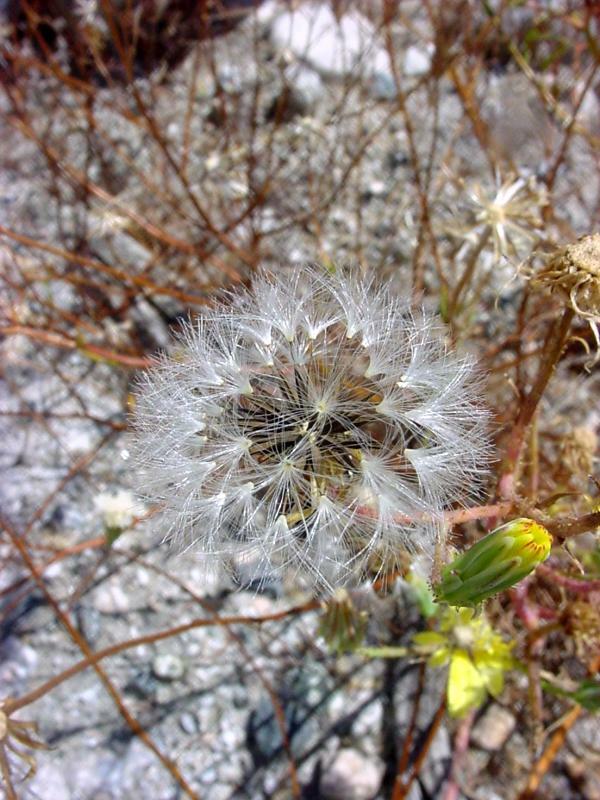 These pictures were taken in the East Mojave National Preserve. Click here for Latin name derivations: 1) Calycoseris 2) parryi.